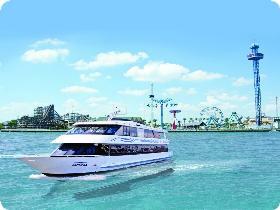 Come on board the Boardwalk FantaSea for a Motown Classics Dinner Cruise! Enjoy fine dining, dancing and beautiful views of Clear Lake, Kemah and Galveston Bay. The Boardwalk FantaSea Motown Cruise is a two and a half hour cruise on Clear Lake and Galveston Bay with fantastic dual entree meal accompanied with a cash bar. Live entertainment on board! Motown Dinner Cruises are a fun alternative for birthday parties, anniversaries or any reason to celebrate- great for groups of all sizes! Professional DJ playing Motown Classics like Marvin Gaye, Michael Jackson and Jackson 5, The Supremes, The Temptations, Stevie Wonder to name a few. Special requests will be taken as well.